Is Zoning Doing What Was Intended for Cape… | Coastal Engineering Co.
Is Zoning Doing What Was Intended for Cape Cod Housing? If you haven’t experienced it directly, you have probably heard by now that Cape Cod has been suffering from the lack of diverse housing inventory including senior housing, multi-unit/affordable housing, small footprint “millennial” housing, transient workforce/seasonal housing, rental/accessory housing, as well as special needs and veteran housing. Cape Cod Commission’s Regional Housing Market Analysis and 10-Year Forecast Report released 09/11/2017 confirms this trend. "This isn't a problem we can build our way out of under the regulations of the past. If we create the right environment and appropriate opportunities for higher density, we could see the market respond and close these gaps." Recognizing the importance of tackling this issue, Housing Assistance Corporation and Community Development Partnership developed Cape Housing Institute and sponsored a series of workshops to provide municipal officials and Board Members with the resources needed to boost the production of affordable housing throughout the region. We had the opportunity to present at one of the sessions to discuss Zoning and Site Selection. Cape Housing Institute presentation by John Bologna and Richard Fenuccio sparked a lively discussion on what types of housing we want to see on the Cape in the future and how we can encourage change as citizens and local government officials. Let’s take a moment and consider how we want our towns to further develop. What appealed to you about the place where you grew up? People are drawn to Cape Cod because of its open space, but we also enjoy a sense of community we share. A traditional New England village concept with its vibrant center satisfies both of these criteria, and Cape Cod downtowns already have some attractive features. Perhaps we can borrow other features that aren’t as popular on the Cape from places like Newburyport, Rockport, and Amherst, MA with their consistent pedestrian street edge and zero-lot line three-story buildings with retail on the first floor and compact residential housing “over the shop”. There are many existing sites we evaluate that, at the first glance, would make sense to be developed or redeveloped as housing; sadly, a lot of them do not qualify under existing use and dimensional regulations. Conventional zoning was not necessarily created to address the “quality of place” issues that are increasingly seen as essential to the creation of inviting, healthy, and vibrant communities. What complicates matters further, zoning now includes dimensional and site overlay restrictions in addition to assigning land use (for example, Barnstable has 36 zoning districts with 13 overlays). Although established for good reasons (privacy, water/open space protection, etc.) the typical “two-acre” Cape Cod zoning over time has caused unintended consequences that defeat its purpose - such as widespread non-conforming properties and land loss caused by sprawl. Prevailing “Spot Zoning” and overlay approaches leave very few available “As of Right” sites, where development may proceed without the need for a special permit, variance, or zoning amendment. Instead of creatively and proactively planned communities and integrated streetscapes which we want to encourage, “Spot Zoning” tends to yield site-specific, reactive solutions. As such, we find it unnecessarily complex, contradictory, and out of date – in one word, broken. Could this site support housing? So, the site in B-3 (Business) that we evaluated would not be “as of right” for multi-unit or scattered site housing, and special permit would be required. The good news is that we control our own destiny. Towns can and should initiate zoning revisions to encourage production of housing that meets their specific needs. 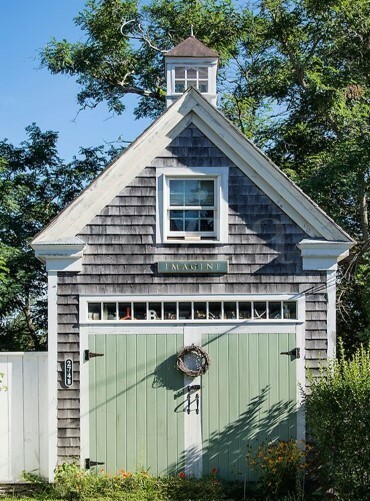 Leading the way are the Towns of Falmouth, Truro and Provincetown, which recently passed Accessory Dwelling Unit by-laws. Accessory units are a great option because they both increase rental options for tenants and make the homes more affordable for owners by providing supplemental income. “Form Based” Codes - Uses physical form rather than separation of uses as the organizing principle. It’s important for Towns to be proactive in proposing developments. Town-led 40Bs ensure that the Town has a say on things like site location, unit mix, housing type, and design approach, as opposed to developer-led 40Bs, with developer-led priorities. The more information the Town has prepared upfront, the more likely a developer will be interested in working with the Town, so site feasibility studies for Town-owned parcels earmarked for housing are an important step in the process. How will Developer look at the site? Traditional Cape Cod housing types are expanding in response to changing needs and demographics. Accordingly, certain outdated zoning by-laws need to change in order to make the Cape an affordable, welcoming home for both year-round and seasonal residents. Cape Housing Institute, with its mission to equip municipal officials and staff with the knowledge and skills needed to develop a comprehensive housing supply strategy, is an exciting step in this direction. This article has originally appeared in Cape and Plymouth Business.